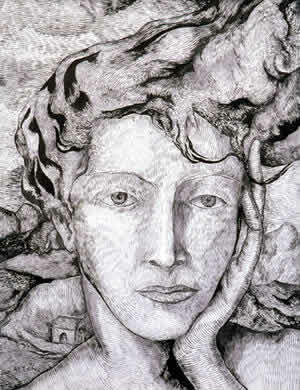 "Head of Summer" 1992, brush & ink on paper, 25" x 20". Ehrich-Rose collection, NYC. These drawings were done in the 1990s. They are smaller works than the monochromes gallery pieces -- mostly carried out in ink on paper.